This entry was posted in Blog, challenge, Poetry and tagged Beauty, Haiku, Prairie Rose, Stage, Star, summer. Bookmark the permalink. Beautiful haiku. At first I thought the flower was a wild rose. The wild roses in our area grow into large bushes and have a flowers that look a lot like the one in the picture. 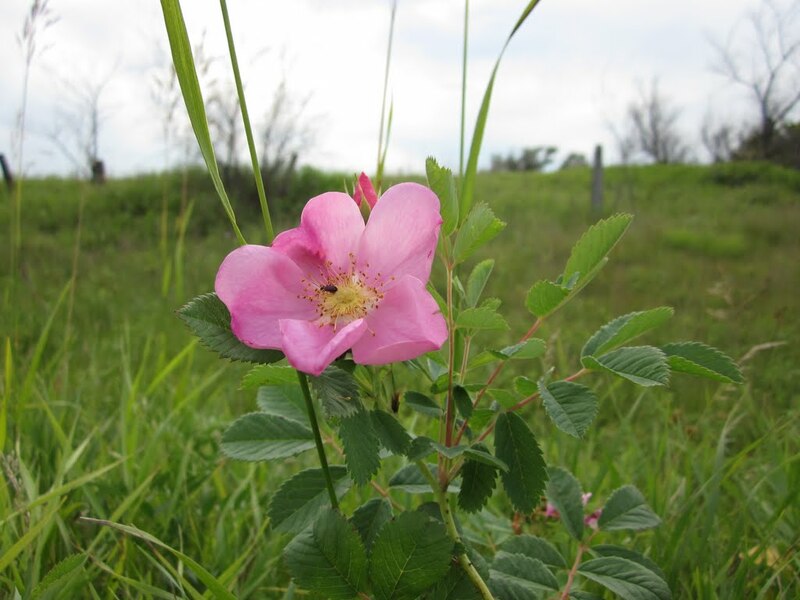 The prairie Rose in North Dakota grow in the rocks and sandy soil in roadways and on the edge of prairies. It rarely grow taller than 8″-10″ and normally has one or two flowers per season. It is the classic combination of beauty and rugged determination. I’ve always thought it was the highest compliment that could be attributed to a Prairie Woman – A Wild Prairie Rose! Beautiful haiku and I love the picture. Gorgeous flower.